My favorite way to make them is to char the hell out of them in a cast iron pan. 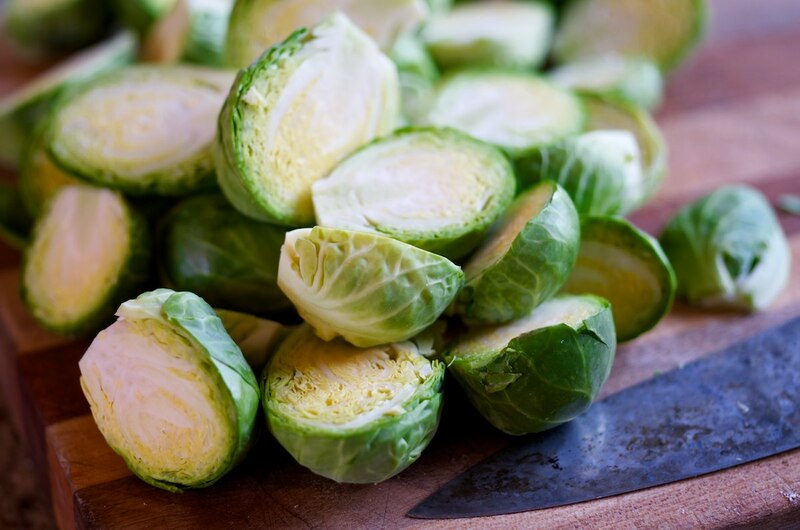 It is unique, creates all sorts of strange and yummy tastes, looks exotic, is easy, fast, and will change the way you think of brussels sprouts. They don’t have to be boiled mush and smell like stinky socks. Start with a very hot, but totally dry pan. Not a drop of oil. Scorch their pretty little faces! Clean and halve all the sprouts. 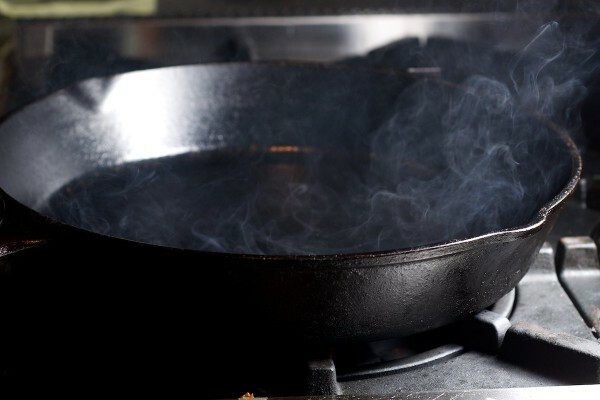 Heat a cast iron pan (a good stainless pan works too) until it is super hot. If it is cast iron, it will be smoking, and if stainless, a tiny drop of oil will immediately smoke vigorously. 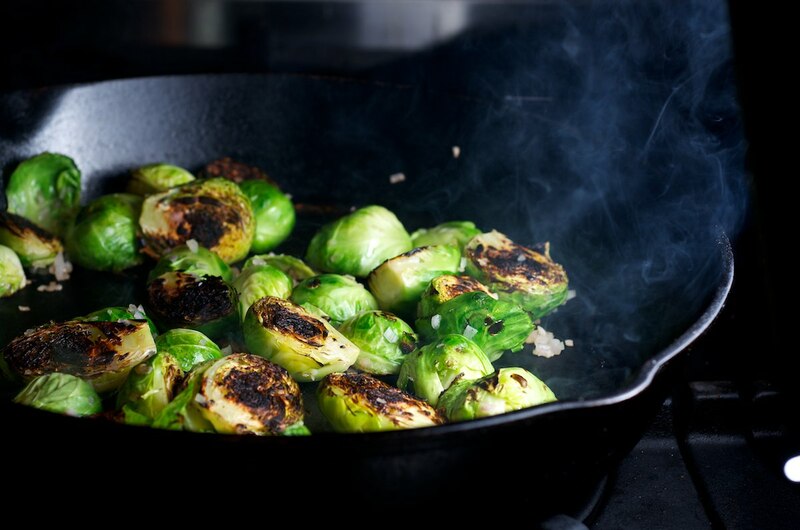 Arrange all the sprouts cut side down in the pan. There will be smoke. After a 1-3 minutes, depending on your tolerance for smoke and charcoal, they should be ready for the next step. Turn the heat to low, mix the olive oil with the shallot, then add to the pan. Cook for 2 minutes, occasionally mixing and stirring. When the shallots are translucent, and just starting to brown, add a mixture made up of all the remaining ingredients, except the butter. Turn the heat back to high. 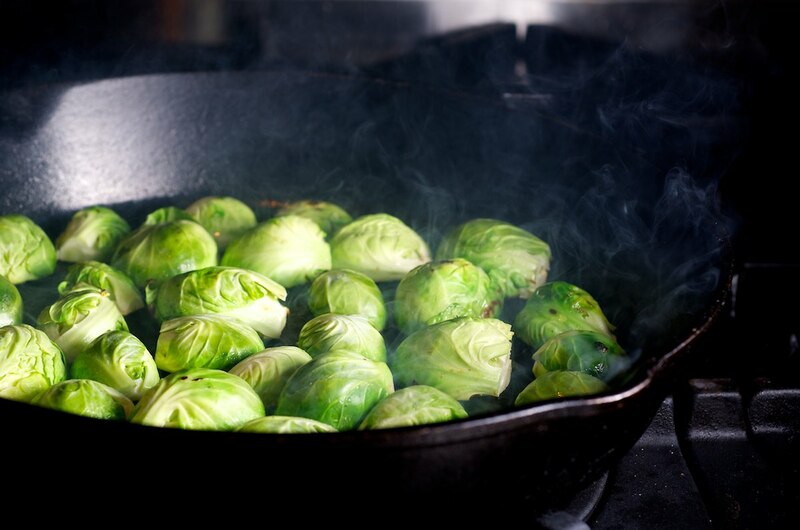 You are essentially steaming the sprouts, while simultaneously reducing the sauce. Remove from heat and stir in the butter once the sauce is reduced to about 3-5 Tbsp, or the sprouts are just tender whichever comes first. It is more important not to overcook your sprouts than to fully reduce your sauce. Give them a quick toss to coat with sauce and serve. This recipe made by and for tens. This was written by cedar. Posted on Tuesday, April 19, 2011, at 10:36 pm. Filed under Recipes. Tagged sides, vegetables, weird, winter. Bookmark the permalink. Follow comments here with the RSS feed. Post a comment or leave a trackback. The BrusselS sprouts were truly amazing. Thank you Lauren, I’m glad you liked them. I do a similar preparation, adding a bit of pancetta (diced), sometimes rosemary, and without the white wine or oyster sauce. I’m looking forward to trying this though, looks great! You are hilarious. Also, these look amazing I am making them. This looks amazing. 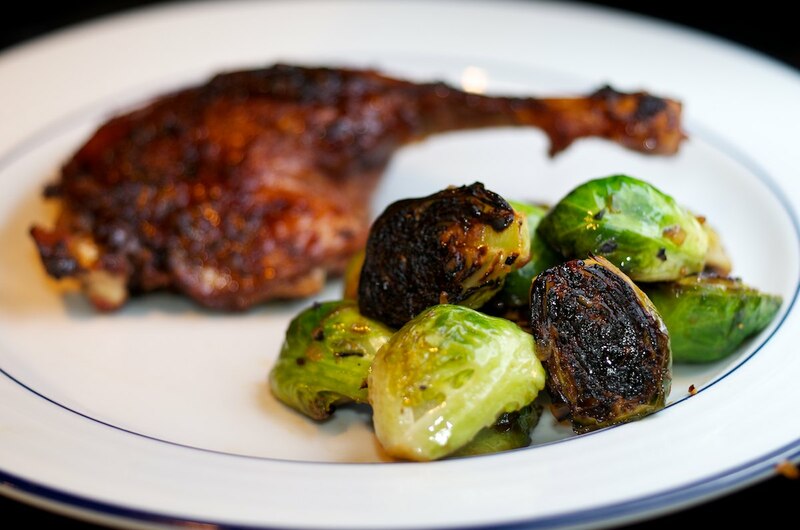 Every expensive restaurant we go to lately serves brussel sprouts. Do you think the oyster sauce make much difference? Any I agree with Tray. You are hilarious. 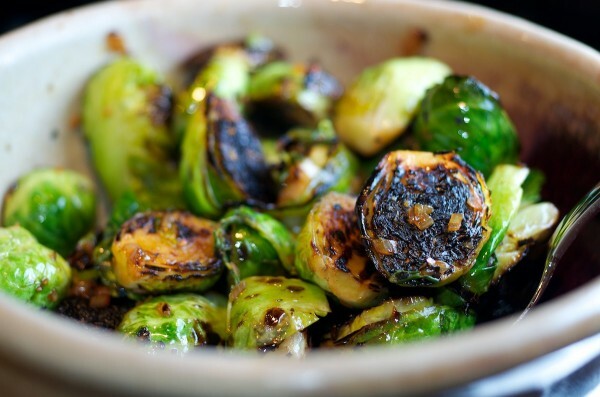 We love us some brussels. They are really hard to find here, so when we do get some, I buy a lot! 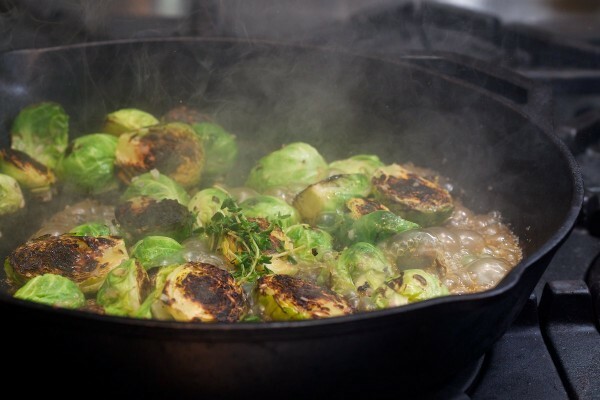 Came across a nice recipe the other day for brussels that are past their best – and it uses your home-cured bacon, as well! fine-slice brussels and when the onions are getting a nice brown colour, throw them in with a dash of wine and a touch of thyme. Stir-fry to your desired stage of crunchiness. We had them with roast chicken and potatoes and they were great!